It’s been 50 years now, and DuPont is still manufacturing Kevlar. When people think Kevlar, they immediately think lifesaving devices (material). After all, it’s famous for being used in body armor that’s protected thousands of law enforcement and military men and women from serious injury or death. This year, DuPont is celebrating 50 years with its Kevlar invention, and for that reason, the company is highlighting all the ways the materials has been used, not just for safety and defense. It was 1965, and Stephanie Kwolek was the DuPont scientist who developed Kevlar, a high-strength fiber that was added to bulletproof vests and more. Today, company scientists are consistently looking for new methods to use the strength the material offers along with its lightweight properties. Satellites that assist with modern worldwide communications – protection against orbiting debris that could impact with the devices. Sporting goods – skis, surfboards, etc. Kevlar applications development engineer Karl Chang, who works at the DuPont Spruance Plant in Chesterfield County, has a Kevlar-smartphone case. According to Chang, Kevlar was initially known – for some applications – as “Fiber B” during the early 1970s. Some applications include stronger vehicle tires and military flak jackets. To this day, Kevlar is still utilized in tires. 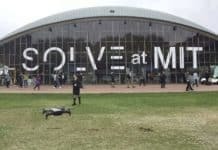 Chang said with each passing year, researchers learn more about how to process the material and use it more efficiently. Chang began his work at DuPont in the mid-1980s in their fibers research lab. In 1986, he arrived in Richmond, working in the Kevlar process and product development sector. His work entails looking for ways in which the material can be used – from surfboards to the space shuttle. He said there has been a 20 percent improvement in performance for body armor applications along with a 20 percent decrease in weight since its inception. 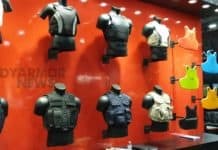 Approximately 10 years ago, the company introduced stab-resistant Kevlar vests, which dropped the weight from nearly five pounds to just under two pounds. 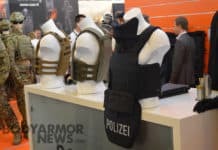 DuPont Protection Technologies Marketing and Communications Leader Kathy Kowalski said although the company has expanded its product base, body armor is still the company’s primary market for the material. During summer 2014, DuPont said one million vests were manufactured around the world using the Kevlar XP fiber – the newest addition of the fiber. It was created in 2008 and developed to be much lighter – weight wise. Kowalski said the brand is valuable because of its link to various life-saving products like bulletproof-resistant vests. She said the company is constantly revolutionizing the markets and diversifying itself to bring Kevlar to more consumer products. Roughly two years back, DuPont expanded its ability to make different colored Kevlar fibers – black, blue, green, orange and red – along with the natural yellow color. Chang said the company came up with ways to create multi-colored Kevlar quite some time ago. When they first developed it, the idea was to use it in firemen gear. Today, the company has been toying with the consumer market – using colored Kevlar in the goods to give them a more appealing look. With color in Kevlar, the product can be added to apparel products such as sportswear and gloves. For instance, Adidas announced earlier in the year that it would introduce football cleats that included Kevlar. Reebok and Nike have also made use of the material in their products. DuPont’s Charleston’s $500 million production was completed in 2011, which the company would use to increase its worldwide production capacity by 25 percent. The Spruance Plant in Chesterfield got a $50 million investment to increase its Kevlar production capacity. In 2013, it became the production of colored Kevlar. Both projects were the biggest Kevlar production investment since its inception in the 1960s. The company has four sites around the world – Charleston, Chesterfield, Tokai Japan, and Maydown, Northern Ireland. The company doesn’t realize sales for certain products like Kevlar. However, it’s a component of its safety and production business sector that includes an array of other products like heat-resistant Nomex material. This material is seen in firefighter suits. In 2012, sales for that unit were $3.82 billion. In 2013, the sales increased to $3.88 billion, and in 2014, the sales hit $3.9 billion. Kowalski said the company, a part of it 50th anniversary, has come up with a new campaign that will give new life to the brand. In response to the campaign, DuPont has opted to sponsor the ESPN X Games. 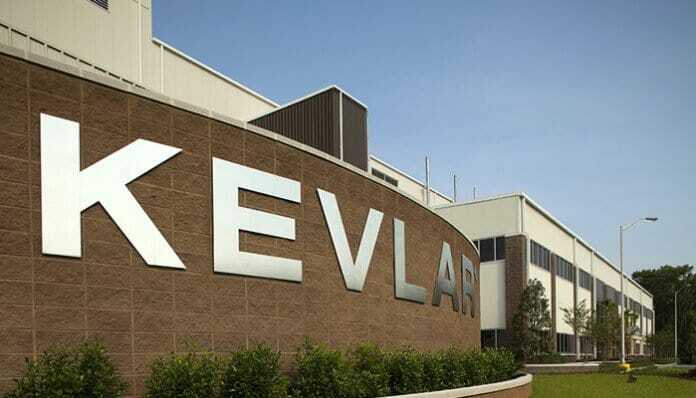 DuPont has dubbed the campaign “Dare Bigger”, and encourages people to turn stories in through Dupont.com on how Kevlar made an impact in their lives or changed the way they did business. Vermont-based Mad River Canoes founder Jim Henry said his company was the first canoe manufacturers to come up with Kevlar canoes. He said the Kevlar-designed canoes were strong but light, much better than steel. Henry said a Kevlar rep said his company was the biggest Kevlar purchaser for the marine industry, second to the U.S. Navy. Mad River Canoes have also contributed to the company’s “Dare Bigger” campaign. Kwolek, who came up with the Kevlar fiber technology, passed away in June 2014. She was 90. According to Ellen Kullman, DuPont chairwoman and CEO, Kwolek was a strong-minded chemist, and “the” pioneer for women in the science field.